The TTC has another closure coming up this weekend. This weekend, March 17 to 18, Line 3 Scarborough will be closed for track work and maintenance. Shuttles buses will operate from Kennedy to McCowan with stops at each station along the route. 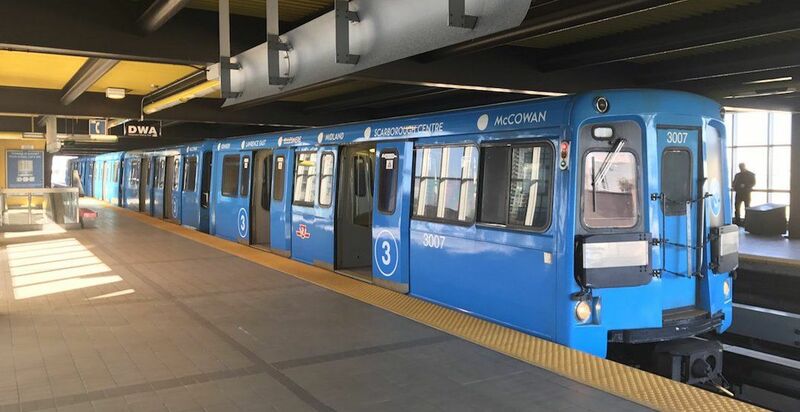 Kennedy, Lawrence East and Scarborough Centre stations will remain open for fare sales. All other stations on Line 3 will be closed. According to the TTC, periodic weekend closures are required as they undertake a complete life-extending rehabilitation of the tracks and vehicles on Line 3, to provide a more reliable and comfortable service over the next 10 years. This line will be decommissioned following the opening of the Scarborough Subway Extension. Also this Saturday, Jameson Irish Whiskey is partnering with the TTC to provide Torontonians an easy way to celebrate St. Patrick’s Day safely. There will be free transit rides from 4 pm – 2:30 am on the 501 Queen, 504 King and 514 Cherry streetcar routes.